Route 66 is the back bone of the American road trip. Even today with all of the different freeways and highways, it is still the road that people strive to drive while traveling. Travel on down the Main Street of America and get a great sense of this beautiful country on your drive. Be sure to stop at Galaxy Diner for some good road trip grub. Extend your trip and take Route 66 to New Mexico. Why should I drive the Route 66? This historic road, known by many names including “The Mother Road” and “The Main Street of America” is a great, calm drive filled with historical landmarks and that jumpin’, jivin’ 1950s vibe. Where does the Route 66 begin and end? 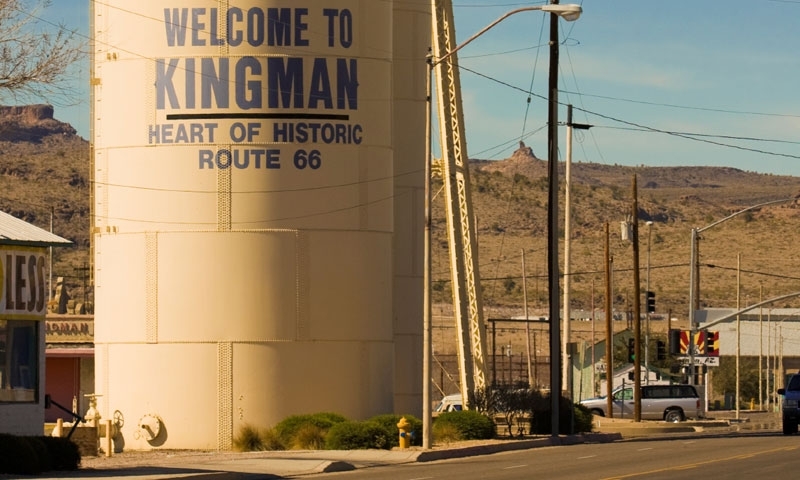 Route 66 cuts through the Northern part of Arizona, running from California through Kingman and Flagstaff, onward to New Mexico. Route 66 continues up through Chicago, Illinois. How long does the Route 66 take to drive? Route 66 only runs for a short while in Flagstaff and can be accessed from many popular spots in town such as the Galaxy Diner. What will I see along the way? Along the way you will see Galaxy Diner, vintage motels, the Museum Club and some great majestic views of the San Francisco Peaks.